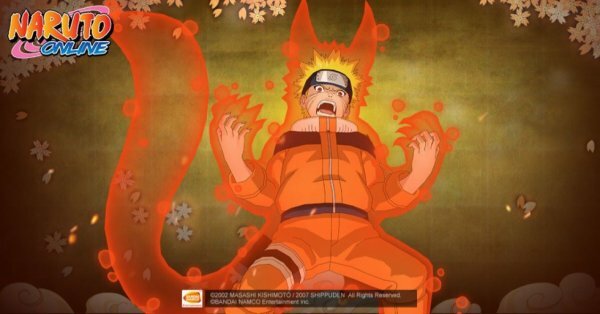 Nine-Tails Chakra (No Tail Displayed): seen in the fight with Haku. One Tail: seen in the first battle with Sasuke at the Valley of the End. Two Tails: seen during the Rescue of Gaara Arc, seriously injuring Deidara. Three Tails: seen in the cultivation with Jiraiya, seriously injuring Jiraiya. Four Tails: seen in the battle with Orochimaru at Tenchi Bridge. Six Tails: seen in the fight with Pain, covered with bones of the Nine-Tails. Eight Tails: seen in the fight with Pain, after being sealed by the Catastrophic Planetary Devastation, the Nine-Tails flesh and blood could be seen. Nine Tails: seen during the Fourth Great Ninja War.